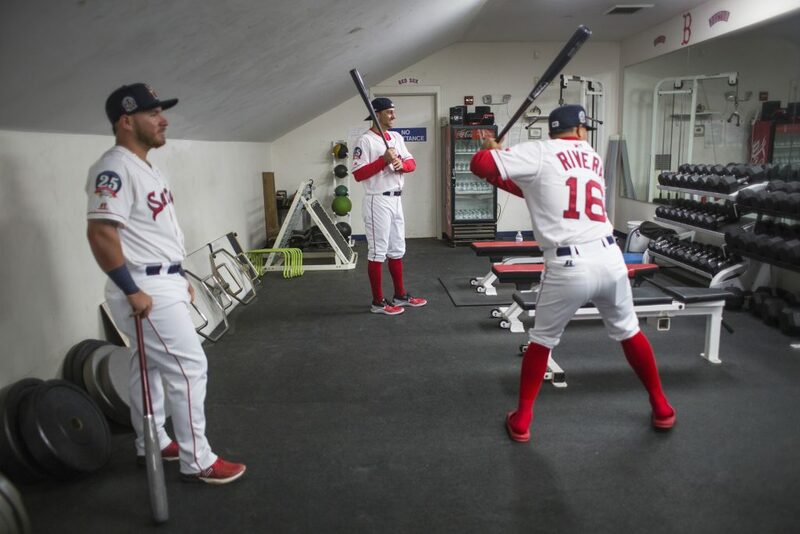 Among the players coming back to Portland are Mike Olt, Danny Mars and top prospect Michael Chavis. 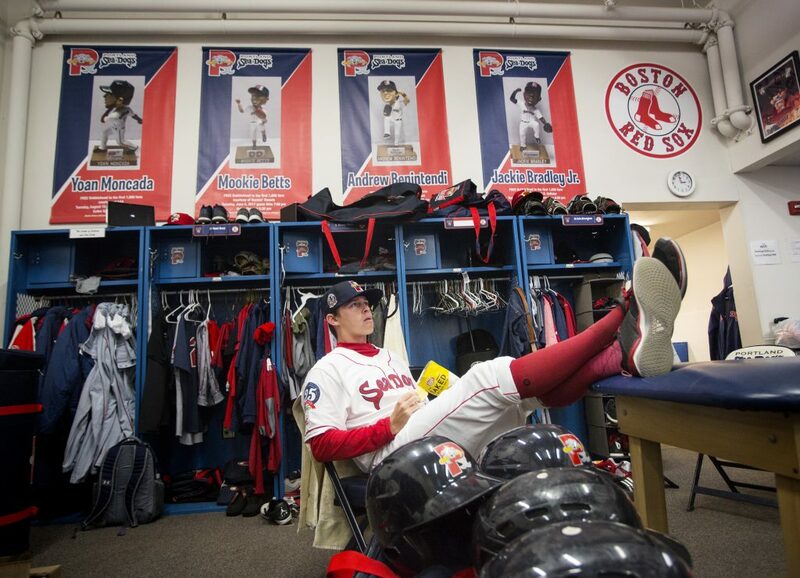 Moving up the minor league system gets complicated once you reach the Double-A level. 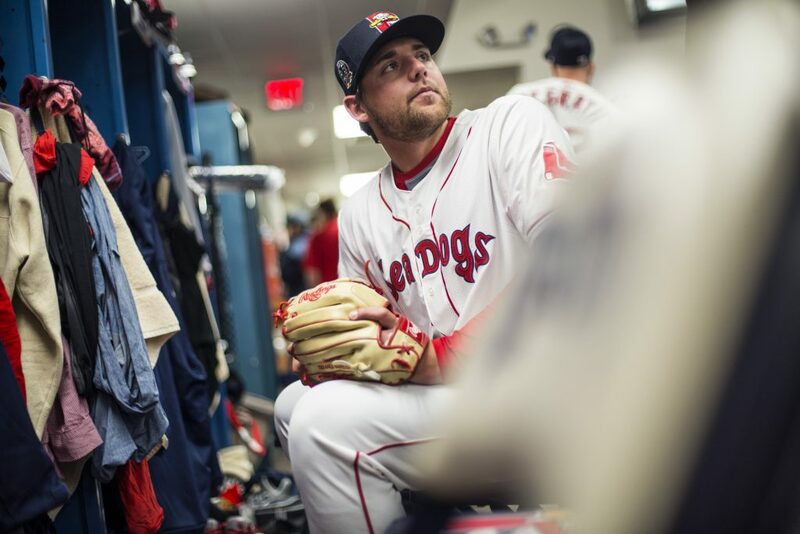 Danny Mars is an outfielder for the Portland Sea Dogs, Double-A affiliate of the Boston Red Sox. Mars, 24, led the Sea Dogs in hitting last year with a .304 average. Mars is back in Portland, joining his teammates Tuesday for their first workout at Hadlock Field. The team begins its season Thursday in Binghamton, New York, and returns to Hadlock next Friday, April 13, for the home opener. Mars, a switch-hitter, will be in the lineup. “When I found out I was returning, I didn’t mind one bit,” Mars said, “Great stadium. Great fans. It’s a high level of baseball. That’s the point. Mars played well last year. He can be better. 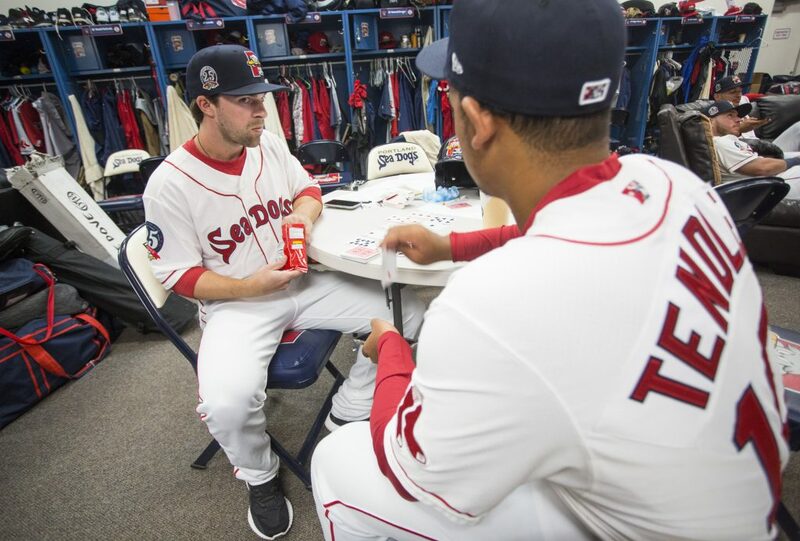 “It goes beyond stats,” said first-year Sea Dogs manager Darren Fenster, who also managed Mars in low A Greenville in 2015. Mars stole 31 bases for advanced A Salem in 2016. Last year, he was only 12 for 22 in stolen-base attempts. Improving does not guarantee a move to Triple-A. 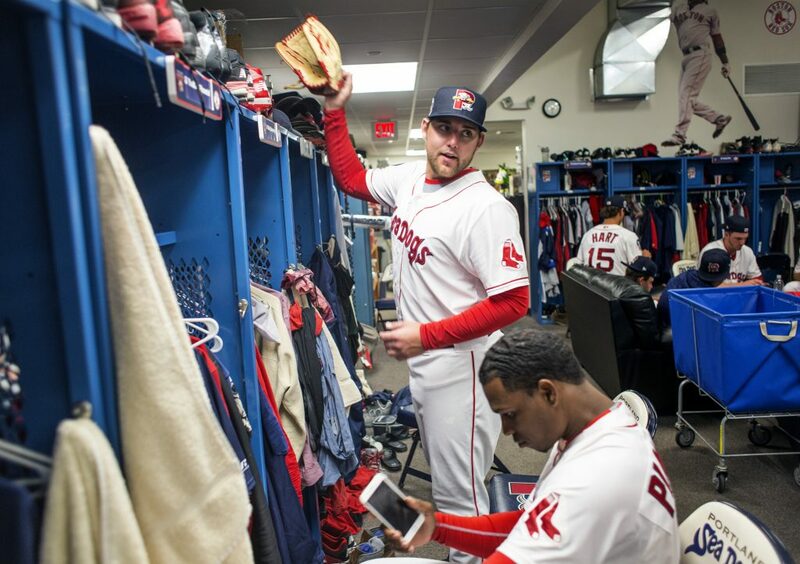 The Pawtucket outfield already has Aneury Tavarez, Jeremy Barfield and Rusney Castillo. “There’s a little bit of a logjam,” said outfielder Cole Sturgeon, who is also close to Pawtucket, after 21/2 seasons with Portland. Mars will wait. “I remember Aneury Tavarez led the league in batting and he was back here (at the start of last season),” Mars said. “You can’t think about that stuff. Wherever they put you, you just got to perform. Mars was a sixth-round draft pick in 2014. He has a career .291 average. Last year, he hit a career-high six home runs. FAMILIAR NAMES on the 2018 roster include Mars, Sturgeon, infielders Mike Olt and Josh Tobias, catcher Jordan Procyshen and a group of pitchers from last year’s team. First baseman Josh Ockimey will return soon, but is still in Florida, on the disabled list with a tight hamstring. Corner infielder Michael Chavis is also on the disabled list. 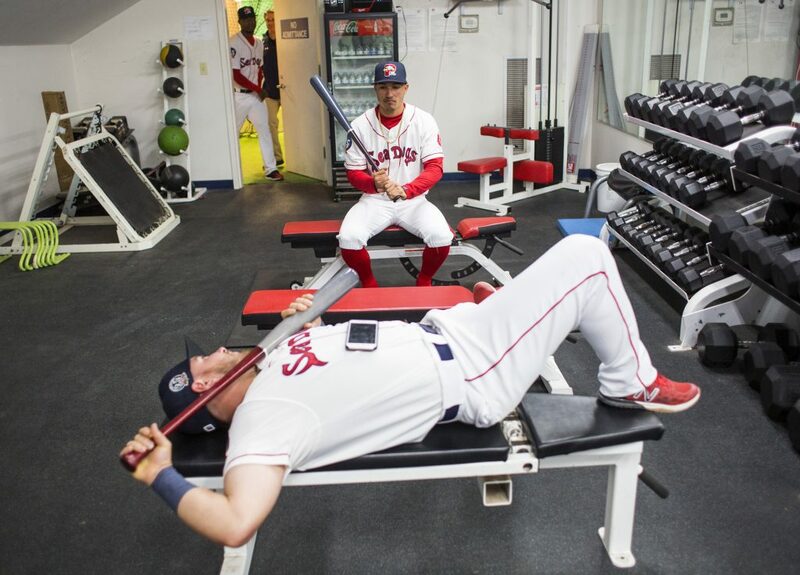 Chavis appeared targeted for Pawtucket, but he strained an oblique muscle in spring training. 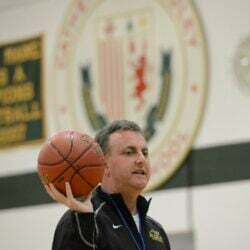 Once he is ready, he could come back to Portland. Second baseman Chad De La Guerra did not return to Portland and is reportedly on the Pawtucket roster (which has not been announced). His spot in Portland is being taken by Esteban Quiroz, a free agent from the Mexican League. THE PITCHING ROTATION returns Teddy Stankiewicz – who will start Thursday – Dedgar Jimenez and Kevin McAvoy. They are joined by Mike Shawaryn, one of Boston’s top pitching prospects, and Kyle Hart, who pitched in Greenville and Salem last year. Starter Travis Lakins is on the disabled list, still coming back from an elbow injury last year. Fenster expects him in Portland this month. Left-hander Trey Ball, a starter for four seasons, including last year in Portland, is converting to a reliever. Among the others in the bullpen are returning right-handers Jake Cosart, Josh Smith and Trevor Kelley. TWO SONS OF major league managers are on the Sea Dogs’ roster: infielder Nick Lovullo (son of Diamondbacks’ Torey) and outfielder Tate Matheny (son of Cardinals’ Mike). Lovullo, who was called up for six games in Portland last year, played his college ball at Holy Cross. 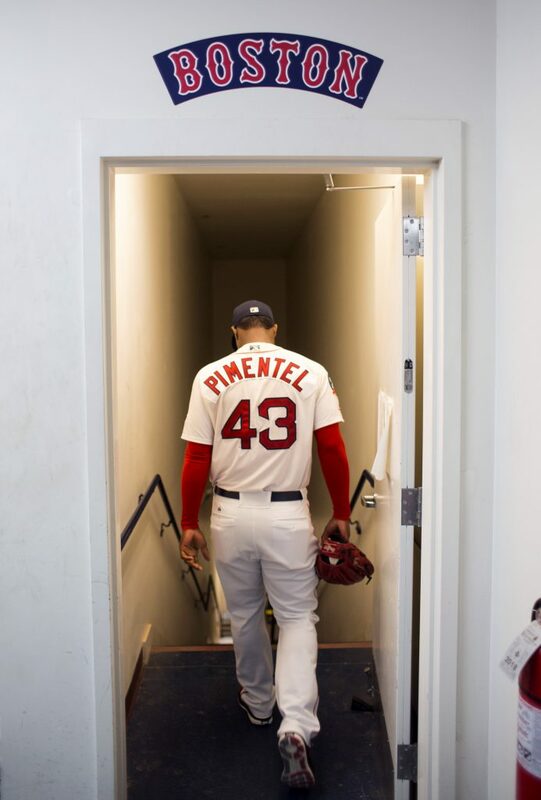 In the summer of 2014, he played for the Sanford Mainers in the New England Collegiate League.